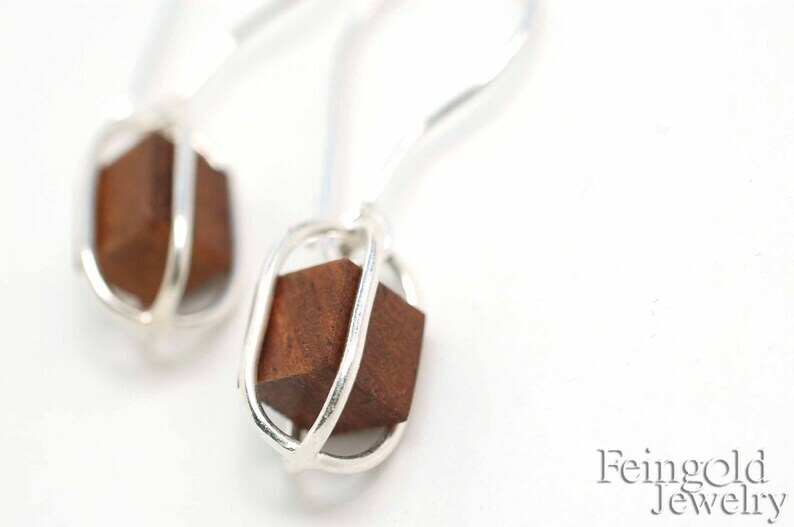 These dramatic earrings are each comprised of a single handmade polished sterling silver cradle containing a dark wood cube. The cube floats freely in the cradle, adding a gentle unique movement to an ear. Because of the materials, these earrings are surprisingly light. Please note, due to small parts, for adults only. The sterling silver may oxidize and the wood may darken.